Last year we ran our first writeup on Skyparks. 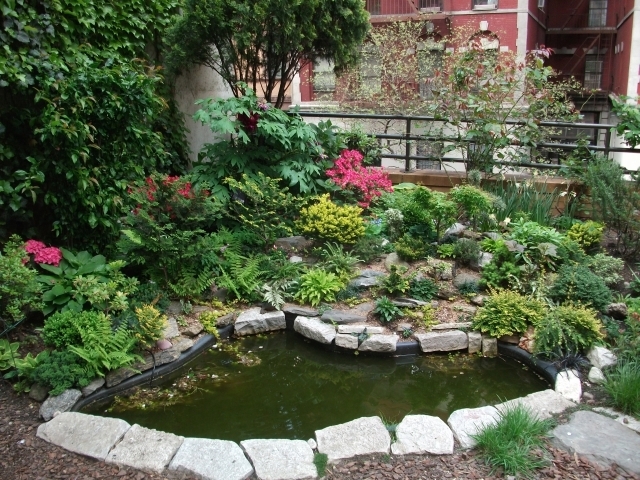 Since then we've learned about an incredible Sky Park, the Lotus Community garden on 96th Street and Broadway. Before the Lotus Garden the Broadway Community Garden existed on the site. The community fought development on the site and through the fight landed up working out a deal with real estate developer William Zeckendorf Jr. that a community garden would be built on the roof of the buildings garage. ParkChelsea has visited Lotus and has seen that it is an incredible example of how a green space and a housing development can coexist. As recounted by Jeffrey Kindley, a Lotus gardener who shares a plot with his wife, Louise, and is compiling the garden’s history to commemorate its 30th anniversary this fall, the origins date from the late 1970s. At that time, Broadway between West 96th and West 97th Streets was a study in blight, having been stripped of a pair of historic theaters, the Riverside and the Riviera. 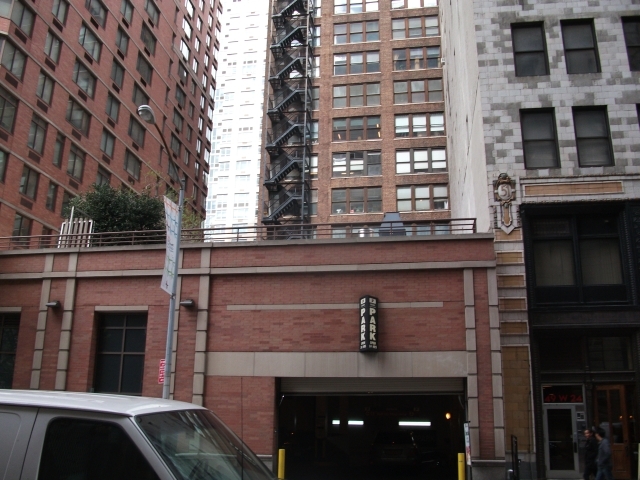 The buildings had survived the death of vaudeville but not the city’s recent financial crisis. Among the gardeners was a songwriter and comedy writer named Carrie Maher. Mr. Greenwald recently told me how he passed by the vacant lot on his way to the subway each morning and struck up an acquaintance with Ms. Maher through the chain-link fence. They became comrades in trowels, who eventually were married at the nearby Cathedral of St. John the Divine, but I’m getting ahead of the story. 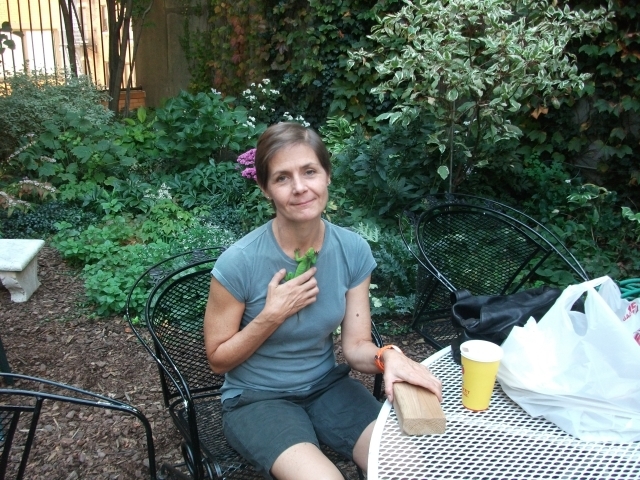 Ms. Maher, on top of her other interests, was a community garden activist with connections to the city’s various greening groups. Mr. Greenwald knew his way around urban space and bureaucracies. Together, they saw an opportunity rather than a calamity, they said, when the developer William Zeckendorf Jr. optioned the lot for a condominium tower. The pair was sure that the property attracted commercial interests because of its new vitality, but they also knew that Mr. Zeckendorf’s project would be tough to pull off. At that time, Broadway north of 96th Street was no banker’s idea of a prudent investment, and the local community was hostile to development. In 1981, with help from several local legislators and community leaders, Mr. Greenwald convened a town-hall meeting at the Upper West Side cultural center Symphony Space to which he invited the neighborhood. He presented a slide show of the history of that stretch of Broadway. “I got people excited about the prospect that change was inevitable and let’s see how we can direct it,” he said. Then, like a bagel-district Machiavelli, he and Ms. Maher, along with other New York greening leaders, boldly bypassed the city planning department and local community board to negotiate directly with Mr. Zeckendorf and his lawyers and architect. 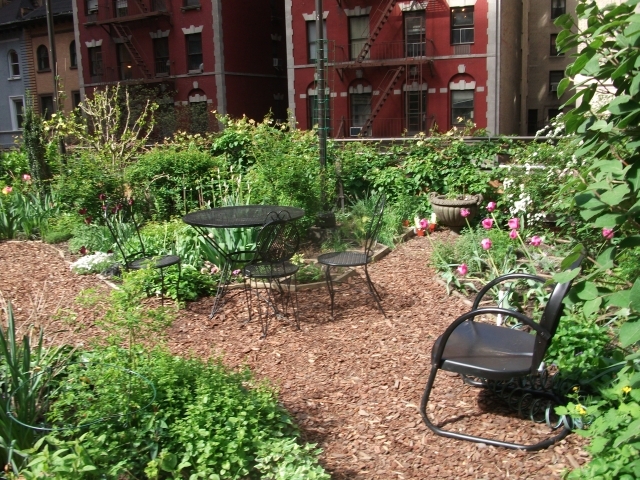 Meeting in Ms. Maher’s West End Avenue apartment, they proposed to make the condominium, called the Columbia, more attractive to buyers and acceptable to locals by putting a community garden on the site. 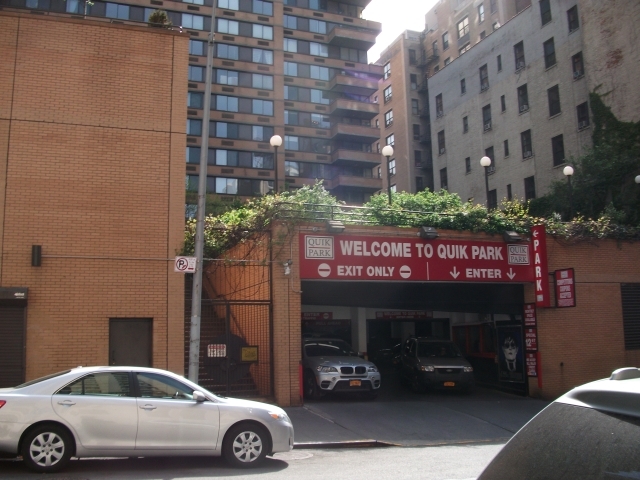 Because of recently adopted urban planning guidelines, the Broadway side of the new building was required to be a height consistent with others along the street, and its 35-story tower set back from Broadway on the 96th Street side; this created a courtyard space partly filled by the condo’s low-rise parking garage. At first, Mr. Zeckendorf suggested putting a greenhouse on the garage’s roof, but Ms. Maher was concerned that debris routinely thrown from the windows of the Royal York, a single-room-occupancy hotel next door, would shatter the glass. 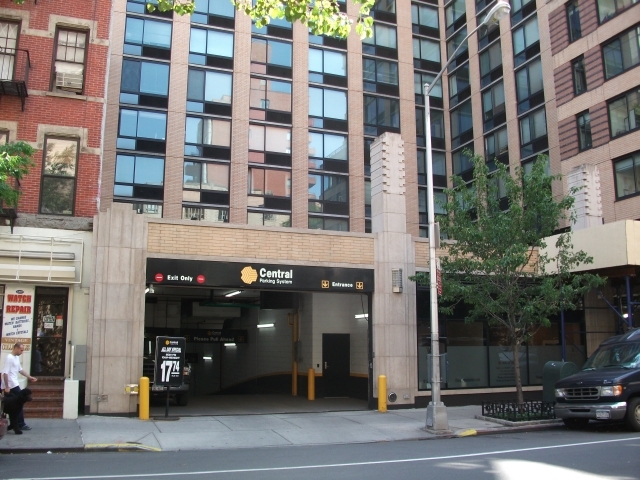 Mr. Greenwald estimated that in the end, Mr. Zeckendorf spent hundreds of thousands of dollars to engineer the parking garage so that it would support two and a half feet of soil and allow drainage. The developer further gave the gardeners $25,000 in start-up costs and $50,000 for an endowment. With help from the Trust for Public Land’s New York office, they received a 15-year renewable lease from the Columbia at $1 a year. I talked to a green roof company who said the cost of a greenroof is $15 a square foot. assuming a rooftop garden can be done at this price this prices then a 5000 sf community greenspace is just $75,000. 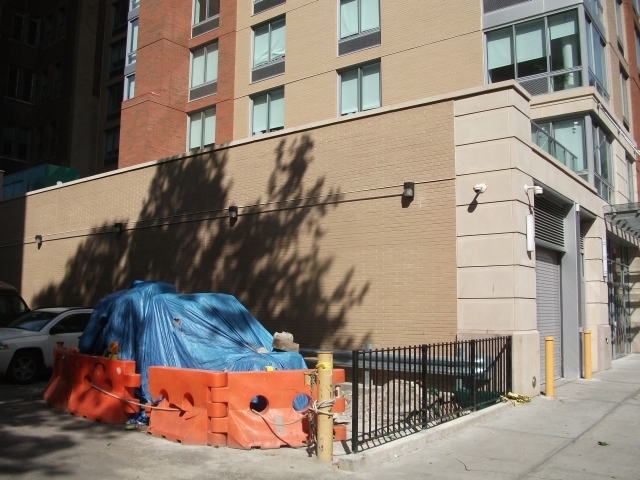 This is the new Elliott Chelsea affordable housing project. An parking lot that was a community open space became a affordable housing project with no provisions made to add open space for the community. 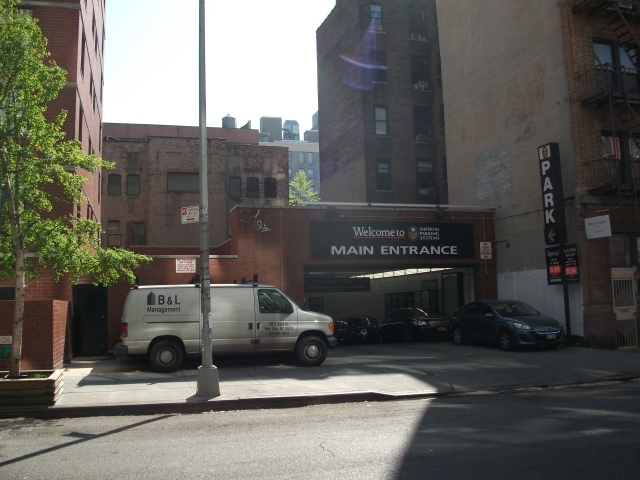 A community facility could have been built above this parking garage. One idea for here could have been a community open air fitness center.